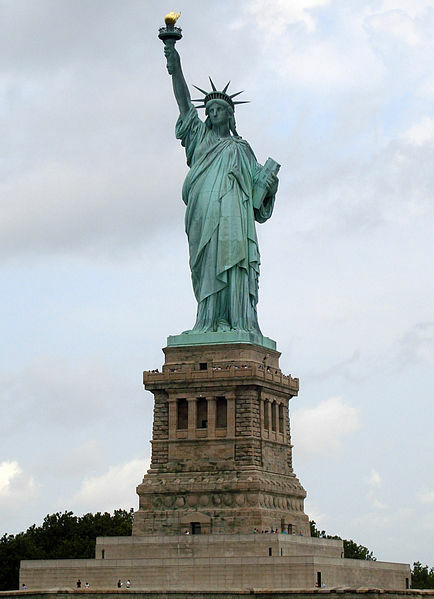 Beacon to the world? Image from Wikimedia Commons. A better future and the survival of the human race require us to realize, as Paul Robeson suggested, that what is precious about humanity is not our differences but our commonalities. Continued study and research into the origins of the folk music of various peoples in many parts of the world revealed that there is a world body — a universal body — of folk music based upon a universal pentatonic (five tone) scale. Interested as I am in the universality of (hu)mankind — in the fundamental relationship of all peoples to one another — this idea of a universal body of music intrigued me, and I pursed it along many fascinating paths. — Paul Robeson, Here I Stand, 1959. America’s destiny required the U.S. “…to set the world its example of right and honor… We cannot retreat from any soil where providence has unfurled our banner. It is ours to save that soil, for liberty, and civilization… It is elemental… it is racial. God has not been preparing the English-speaking and teutonic peoples for a thousand years for nothing but vain and idle self-contemplation and self-admiration. No! He has made us the master organizers of the world to establish system where chaos reigns. He has given us the spirit of progress to overwhelm the forces of reaction throughout the earth.” — Senator Albert Beveridge, Indiana, Congressional Record, 56 Congress, I Session, pp.704-712, 1898. President Vladimir Putin wrote in The New York Times, September 12, 2013, that “it is extremely dangerous to encourage people to see themselves as exceptional, whatever the motivation.” This statement embedded in a generally reasonable statement about the instability of Syria brought an outcry from the liberal media elite and often-quoted academics. 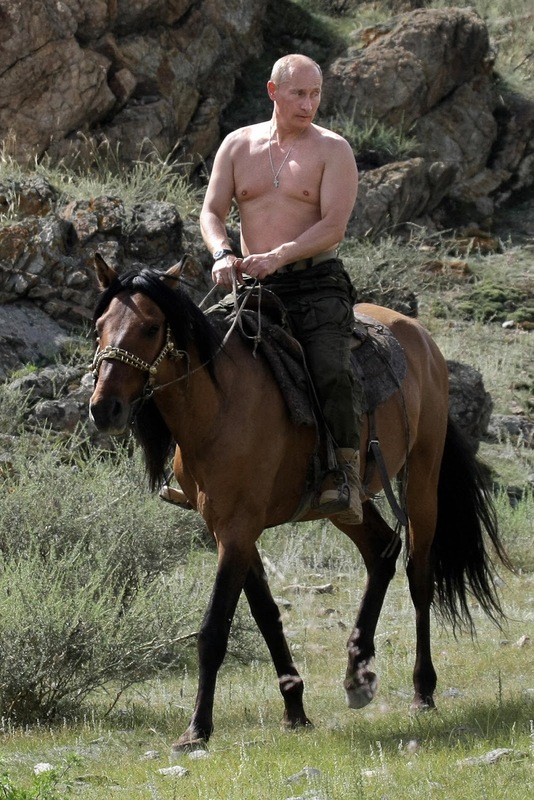 Liberal commentators dwelled on the silly pictures of muscular Putin riding a horse without a shirt. Or they reminded viewers of Russia’s recent (and vile) homophobia. Or they referred to Putin’s pedigree as a KGB operative or as the ruler behind the throne manipulating the Russian electoral system in order to return to office after being replaced. Although critics were probably correct to challenge his claim that the recent gassing of Syrian citizens was done only by rebels, he did admit that the Assad regime in fact does have such weapons. But both Democrats and Republicans expressed outrage that anyone could challenge the idea that the United States is the “exceptional” nation. Let’s be clear. United States foreign policy over the last 150 years has been a reflection of many forces including economics, politics, militarism, and the desire to control territory. The most important idea used by each presidential administration to gain support from the citizenry for the pursuit of empire is the claim that America is “exceptional”. From the proclamation of the new nation’s special purpose in Puritan America, to Ronald Reagan’s reiteration of the claim, to similar claims by virtually all politicians of all political affiliations, Americans hear over and over that we are different, special, and a shining example of public virtue that all other peoples should use as their guide to building a better society and polity. However, looking at data on the United States role in the world, the United States was at war for 201 years from 1776 to 2011. Ten million indigenous people were exterminated as the “new” nation moved westward between the 17th and the 20th centuries and at least 10 million people were killed, mostly from developing countries between 1945 and 2010 in wars in which the United States had some role. In addition, world affairs was transformed by the singular use of two atomic bombs; one dropped on Hiroshima on August 6, 1945, instantly killing 80,000 people and the other on Nagasaki on August 9, 1945, killing another 70,000. Comparing the image of exceptionalism with the domestic reality of American life suggests stark contrasts as well: continuous and growing gaps between rich and poor, inadequate nutrition and health care for significant portions of the population, massive domestic gun violence, and inadequate access to the best education that the society has the capacity to provide to all. Of course, the United States was a slave society for over 200 years, formally racially segregated for another 100, and now incarcerates 15 percent of African-American men in their twenties. The United States is not the only country that has a history of imperialism, exploitation, violence, and racism, but we must understand that our foreign policy and economic and political system are not exceptional and must be changed. Finally, a better future and the survival of the human race require us to realize, as Paul Robeson suggested, that what is precious about humanity is not our differences but our commonalities. Exceptionalist thinking separates us. Sharing what we have in common as human beings, both our troubles and our talents, is the only basis for creating a peaceful and just world. This entry was posted in RagBlog and tagged American Exceptionalism, American Society, Bashar al-Assad, Chemical Weapons, Harry Targ, Paul Robeson, Rag Bloggers, Syrian Civil War, U.S. Imperialism, Vladimir Putin, World Peace. Bookmark the permalink.